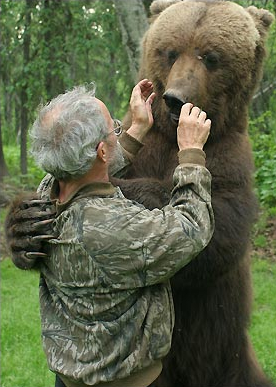 Retired schoolteacher Charlie Vandergaw lives alone in the Alaskan wilderness with wild bears. For more than twenty years he’s been attempting to habituate man and both black and grizzly bear, a feat that has still never been achieved. Charlie understands the risks but loves what he does too much to consider quitting. Featuring some of the most intimate footage of wild bears ever seen, this remarkable film follows Charlie in his controversial approach, as he tries to forge relationships of unparalleled closeness and understanding with these formidable beasts, and asks whether such a line should be crossed. Flow’s Barney Lankester-Owen originated & researched the programme at Firecracker Films. Official Selection, Las Vegas Film Festival 2009.